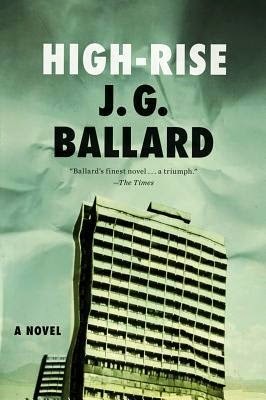 Previously I had read J. G. Ballard's Crash, but I was prompted to read High-Rise since the film will release next year and I usually prefer to read the book before seeing the movie. High-Rise captivated me from the first page and held my interest and my excitement right to the end. At first it was fascinating to see the way things (and people) crumbled apart; later the reader almost feels involved in the destruction, longing to no what acts will take place next, urging the characters on. It is a truly fascinating study of society and human behaviour. Having read the book, I am now even more excited for the film release. Knowing which actors are playing which roles, I am already imagine what each will bring to the characters and I can't wait to see the action translated to the screen.